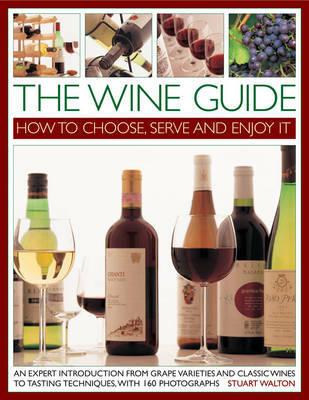 This title offers an expert introduction: from grape varieties and classic wines to tasting techniques. Learn the principles of tasting: how to judge a wine by its looks, smell and taste. This work includes useful information on matching wine to each course of the menu, what the details on wine labels mean and the techniques and trends of winemaking. There is an introduction to the VIPs of the wine world: the most important grape varieties, six white and six red, including information on which countries grow which grape, the best wines made from each variety and tasting notes for each wine. This title is packed with beautiful colour illustrations and vivid photography. Wine is here to be enjoyed and Stuart Walton's message in this book is that the more you know about it, the more you will appreciate each glass. This is a non-technical but authoritative and informative look at the practicalities of keeping and serving wine, as well as a comprehensive review of the twelve most important grape varieties used in the making of wine internationally. Where should you keep wine if you don't have a cellar? At what temperature should red and white wines be served? Should red wine be allowed to breathe? Answers to all these perennial queries are given, together with details on the best corkscrews, the use of decanters and the right glasses - all to maximise your enjoyment of the wine.